Email anti-spam technology is used to prevent malicious content from being delivered via email. These tools scan email messages, content, and attachments for potential threats and then filter or block suspicious messages from being delivered. Administrators can whitelist approved content or senders while also blacklisting or blocking communications from suspicious parties. Companies use email anti-spam tools to prevent their employees from being misled through phishing attacks or compromising local networks when downloading malware. They also prevent employees from delivering information to misidentified users, saving the business from potential breaches. All secure email gateway software possesses anti-spam or email filtering capabilities, but those tools also have additional features for comprehensive spam filtering, email encryption, and information archiving. Email Anti-spam reviews by real, verified users. Find unbiased ratings on user satisfaction, features, and price based on the most reviews available anywhere. SpamTitan Email Security identifies and blocks email spam, viruses, malware, malicious links, phishing attempts, spoofing and other email borne malicious threats. We provide advanced email security for your business without making it complicated. SpamTitan Email Security is built for the SMB and SME markets, businesses using Office 365, managed service providers and the education sector. Email Security, Web Security and Compliance do not need to cost an arm and a leg for those looking to save costs in their IT security spend and productivity. Security is a feature that Microsoft has added to 0365 and for most organizations this does not meet their security benchmarks. Some important features include: Real-time Blacklists: Protect your business by blocking spam, malware and malicious emails in real-time. Office365 Friendly: Strengthen your Office 365 security against Spam and Malware Cloud-based: Protect your business on-the-go with our cloud-based system. No hardware. Virus & Malware Detection: Block malware, ransomware and viruses from destroying your business. Free Tech Support: We offer excellent free technical support from a live technician. Outbound Mail Scanning: Ensure that malicious emails are not sent from your corporate emails. Affordable Monthly Billing: It is a very affordable, effective and easy to use solution simply set and forget. Industry Leading Support Team: Renowned for our focus on supporting customers with 98% satisfied customer rate in 2018 Whitelisting, Blacklisting & Greylisting: Allows whitelisting and blacklisting, advanced reporting, recipient verification and outbound scanning of email. Protection from Zero Day Attacks: A secure solution for email needs the ability to anticipate new attacks using predictive technology Data Leak Prevention: SpamTitan adds powerful data leak prevention rules to prevent internal data loss Dedicated RBLs: SpamTitan includes 6 specialist Real Time Blacklists (RBLs). Email Content Filtering: It includes comprehensive content filtering rules Security Against Infected Attachments: Allows the blocking of specified attachments by type (per domain) i.e. ZIP files Advanced Threat Protection: Inbuilt Bayesian auto learning and heuristics Spam Quarantine Reports: Extensive and detailed quarantine reports allowing end users control their account Customizable Policies: Each user, domain, domain group and overall system has its own block list SpamTitan's sandboxing feature protects against breaches and sophisticated email attacks by providing a powerful environment to run in-depth, sophisticated analysis of unknown or suspicious programs and files. SpamTitan Cloud is also a vital additonal email security layer in protecting Office 365 from malware and zero day attacks. Since 1999 SpamTitan Email Security has been building up threat intelligence that will dramatically reduce the risk of a successful email attack on your organization. Cloud security is all we do. 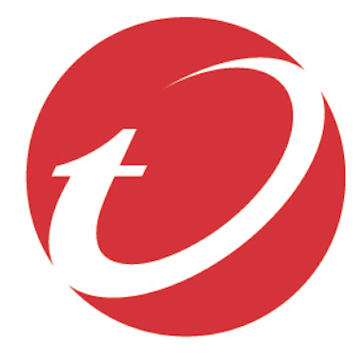 Trend Micro OfficeScan infuses high-fidelity machine learning into a blend of threat protection techniques to eliminate security gaps across any user activity and any endpoint. It constantly learns, adapts, and automatically shares threat intelligence across your environment. Symantec Mail Security for Microsoft Exchange (SMSMSE) combines Symantec anti-malware technology with advanced heuristics and file reputation to provide real-time protection for email against viruses, spyware, phishing, and other malicious attacks. For additional protection, SMSMSE offers Symantec Premium AntiSpam (additional license), powered by Brightmail technology. Together, these protections help to stop 99 percent of incoming spam with less than one false positive per million. SMSMSE enforces content filtering policies on Microsoft Exchange Server 2010, 2013, and 2016, while supporting hosted, Microsoft Hyper-V®, and VMware virtualized Exchange server environments. Symantec Mail Security for Microsoft Exchange complements other layers of protection by preventing the spread of email-borne threats and enforcing data loss prevention (DLP) policies. SaneBox is like a super-smart assistant who’s been with you for years and knows what’s important to you. It moves unimportant emails from the inbox into a new folder and summarizes them in a digest, where you can quickly bulk-process them. An average SaneBox customer saves 12+ hours/month. Additional features: SaneBlackHole - Instantly unsubscribe from annoying marketers, mailing lists and newsletters SaneReminders - Get a reminder if someone doesn’t respond to you SaneSnooze - Snooze non-urgent emails SaneAttachments - Automatically upload attachments to Dropbox, Evernote, Box, etc. ...and more features to enhance your existing email setup With glowing reviews from TechCrunch, Forbes, The New York Times and emailers everywhere, you can rest assured that you will fall in love with email again. And it’s risk free—cancel and your email returns to the way it was. Retruster is an email security platform that identifies phishing and fraudulent emails. Its advanced AI and machine learning capabilities make it a powerful product for administrators, and its easy-to-use and user-friendly interface make it a favorite among users. Check Point Anti-Spam & Email Security Software Blade is an email security software that provides the industry application security and identity control to organizations of all sizes. It enables IT, teams, to create granular policies based on users or groups to identify, block or limit usage of Web applications and widgets. ScanMail Suite for Microsoft Exchange stops highly targeted email attacks and spear phishing by using document exploit detection, enhanced web reputation, and sandboxing as part of a custom APT defense—protection you don't get with other solutions. In addition, only ScanMail blocks traditional malware with email, file, and web reputation technology and correlated global threat intelligence from Trend Micro Smart Protection Network cloud-based security. Proofpoint Mail Routing Agent (MRA) provides secure, scalable, reliable email routing and management for even the most complex email infrastructures. Personal Webmail Defense (PWD) protects you and your employees across personal webmail and browsing activities across the broader web. SPAMfighter block the spam mail using spam filter application that comes with spam reporting, phishing attack protection, and automatic whitelist. EMAIL GATEWAY is an mail Server Protection for Small Business and Enterprise that quarantine, spam detection and managed content filtering For Cleaner Email. Deep Discovery Email Inspector detects and blocks ransomware spear phishing emails through advanced analysis techniques for known and unknown attacks. FireEye Email Security is a store-and-forward email analysis solution. Trend Micro InterScan Messaging Security provides the most comprehensive protection against both traditional and targeted attacks. Using the correlated intelligence from Trend Micro Smart Protection Network and optional sandbox execution analysis, it blocks spam, phishing, and advanced persistent threats (APTs). inumbo is a cloud-based anti-spam service that works with any e-mail infrastructure. KoruMail Cloud is a cloud-based anti-spam filter for corporate mail servers. MailCleaner is a professional anti spam and threats server protection for ISP, SME, SMI & large companies. The Outbound Spam Guard (OSG) is a carrier-grade solution that can be easily deployed to scan and block up to 99% of all unwanted or malicious outbound email traffic. ScanMail Suite for IBM Domino stops highly targeted email attacks, such as spear phishing, by using document exploit detection, enhanced web reputation, and sandboxing as part of a custom APT defense. ScanMail also blocks traditional threats with reputation technology and correlated global threat intelligence from Trend Micro Smart Protection Network cloud-based security. Securence is a managed spam service offering anti-spam and anti-virus filtering technologies. SecureTide is a spam and virus protection software that analyzes the user email history and gives a daily spam report. Sophos PureMessage lets your users work productively and securely and cans inbound, outbound and internal email to guard against spam and the latest threats. With PureMessage for UNIX, you get the scalability and configuration options you need to protect email for customers or your enterprise. SPAMfighter Exchange Module is a spam filter for your Microsoft Exchange or Small Business server. The award winning spam engine will relieve you of the annoying spam that’s flooding both your own inbox and those of your users. Filtering the spam at the source makes the SPAMfighter Exchange Module ideal for companies and organizations with a flexible work force, where e-mail on the smartphone is priceless. The SPAMfighter Exchange Module is tailor made to integrate seamlessly with the Microsoft servers. The result is that it takes just a few minutes to install and that it will start filtering spam right away. In the continuous development of the solution we have added special features, you can activate and configure if you want, e.g. - filtering outgoing and internal e-mails - adding customized disclaimers to all outgoing e-mails - intelligent re-routing Features: Community based spam engine ensures constant updates The award winning SPAMfighter spam engine is based on the experiences of the community. That means that SPAMfighter will constantly evolve and answer to the newest threats from the spammers, without having to wait for the developers. The heuristic approach to spam filtering also means that SPAMfighter will not filter your valuable business e-mails based on simple words. It’s a more complex world than that! Low rate of false-positives We at SPAMfighter pride ourselves of an unusually low rate of false-positives, i.e. share of genuine e-mails left in the spam folder. When you chose to install a spam filter and let someone else interfere with your e-mails, you do so to save time and trouble – not to miss out on business opportunities. We don’t delete any of your e-mails, so at any point in time you can access the spam folder to see if we disagree on the value of an e-mail. Free 30-day trial of the full version We have nothing to hide! That’s why we are giving you a chance to test the full version of the SPAMfighter Exchange Module with no limits for a period of 30 days. Just download the software from our web site and install it on your server to automatically initiate the free trial period. That way you can see for yourself whether SPAMfighter Exchange Module lives up to your expectations or not. 250ok Reputation provides the protection enterprises need with the insight email marketers love. Area 1 identifies and prevents advanced socially engineered attacks before they impact your enterprise. Email Security (AV/AS) from BAE Systems reduces risk exposure and corporate liability by safeguarding emails with anti-virus and anti-spam technologies that block malicious software and spam at the gateway. bt-Enterprise is a network security software that eliminates risk and regains control of enterprise solutions for web and email filtering. CanIt-PRO is a spam protection solution that is being used by companies with low to many e-mail users. Carrierzone provides email abuse management solutions. Cloudmark Authority provides the fastest and most accurate messaging security in the industry for mobile operators, internet service providers, and hosting providers. ContentCatcher secure the business against phishing, spam, malware, malicious URLs and attachments with GDPR compliant,. Datatune's hosted antispam solution is a cloud-based email security tool. Impressionwise offers a professional data hygiene and email validation service featuring a multi-layered approach to identify, validate and protect against a wide range of e-mail-based threats. Enterprise-grade protection to secure networks, emails and endpoints for growing mid-market organizations. IBM Lotus Protector for Mail Security scans email messages and attached files for unwanted, confidential or malicious content, extending email security and compliance for social business platform. LexisNexis Email Risk Assessment Confirms Emails with Confidence. MailGuard offers businesses solutions to manage and protect email and web filtering with anti-spam, anti-virus & data security essentials. Email security solution designed to prevent your business email communications from being compromised by phishing and malware. MailWasher allows to preview and delete unwanted email from an unlimited number of accounts, before it reaches inbox. MetaPhish helps keep your staff safe from phishing scams through automated training that increases their vigilance. Parla is a corporate email solution in the cloud, with an integrated security layer and EU-compliant privacy controls. PhinPoint is a product that reduces a user's chance of falling for a phishing attack. SMX is a cloud-based email security and hosting provider having configurable content management and data loss prevention features, secure cloud email archive and more. Spameo is a spam blocker for Gmail. Hi there! Can I help you find the best Email Anti-spam solutions?